Performance Fibers is located in Guangdong, China, and co-located with Indorama Ventures Kaiping, which supplies polyester chips. Performance Fibers produces polyester fibers, dimensionally stable DSP® yarn, canvas, tire cord fabrics and dipped single end cords, using the technology of fiber spinning, cord fabrication and surface treatment to deliver a wide spectrum of properties. Performance Fibers serves customers mainly in the automotive market. From “Performance Fibers Asia” to the new “Performance Fibers” and the integration into Indorama Ventures, we become global, more resourceful and get closer to our customers. Performance Fibers is located in Guangdong, China, in co-location with Indorama Ventures Kaiping, which supplies polyester chips. It was originally established in 1993 and was acquired on 1st April 2015 after the ownership of AlliedSignal, Honeywell and subsequent owner, Sun Capital Partners. Performance Fibers produces polyester fibers, dimensionally stable DSP® yarn, canvas, tire cord fabric and dipped single end cord, using the technology of fiber spinning, cord fabrication and surface treatment to deliver a wide spectrum of properties. Performance Fibers serves customers mainly in automotive market with the total capacity of 52,000 tonnes per annum. Today, Performance Fibers is one of the world’s leading producers of industrial polyester fibers and fabrics with strong supply position and R&D commitment to the global tire reinforcement and specialty industrial market. The Performance Fibers of today has emerged from a long history of company structural and capability development that has enabled itself to continue to grow and excel through different market conditions. Performance Fibers business is now a wholly-owned subsidiary of Indorama Ventures Company which is the world’s largest PET producer. Performance Fibers’ Asia business was acquired by Indorama Ventures on 1st April 2015 as part of latter’s growing high-value added business portfolio. Before that, Performance Fibers was owned by Sun Capital Partners, Inc who acquired the business from Honeywell International in 2004. Performance Fibers continues a legacy of commitment, reliability and innovation that traces its roots to the post-World War II years when the fibers business was begun by Allied Chemical (subsequently AlliedSignal and Honeywell). Performance Fibers’ management team comprises an Asia-based team of business and functional leaders averaging 25 years of experiences. The team, combining a mix of rich fiber industry and international experience as well as functional skills gained from multi-national companies, is committed to delivering superior value to customers and stakeholders. Our leadership team includes the President, CFO, site GM, HR Director, Marketing Director, Sales Director, Technology Director, and Product Management Director. They are based out of Hong Kong, Kaiping China and Malaysia. Performance Fibers is headquartered in Hong Kong with sales offices in Malaysia, Delhi and Shanghai. Performance Fibers has a portfolio of product performance that derives from different yarn types such as polyester, Nylon 66 and aramid and from different product forms including tire cord fabrics, twisted cord, high tenacity fully drawn yarn (FDY), canvas and dipped single end cord (SEC). Performance Fibers is able to deliver this wide range of fiber and fabric performance because it has formed strategic alliances with major producers of aramid and N66 in addition to having own core strengths in Polyester fiber and fabric producers. Performance Fibers is the pioneer in DSP® dimensionally stable polyester and have over the years been a high quality and consistent supplier of DSP® yarn and twisted cord, tire cord fabrics, canvas, and SEC to tire, MRG and industrial markets. Performance Fibers has been in past few years engaged in product innovations for addressing the evolving requirements in the tire reinforcement market. Tire cord fabric new performance includes high thermal adhesion THERMTEC™ to reduce risk of heat-generated failure, extra-high dimensional stability UNITEC™ for enhanced handling, extra-high tenacity ECOTEC™ for carcass weight reduction and specialty material of unique properties PLYTEC™ and CAPTEC™ for nylon replacement and lowered total cost of ownership in carcass and cap ply applications respectively. Performance Fibers have targeted Tire, MRG, auto-safety, sewing thread and selected industrial markets for growth, supplying a range of performance products to satisfy the high standard of customers’ industries. Performance Fibers seeks to build longer term customer relationship and partnership in the chosen markets, constantly monitoring the evolving market requirement and investing in R&D efforts to develop product offerings that add value to customers’ products and processes. 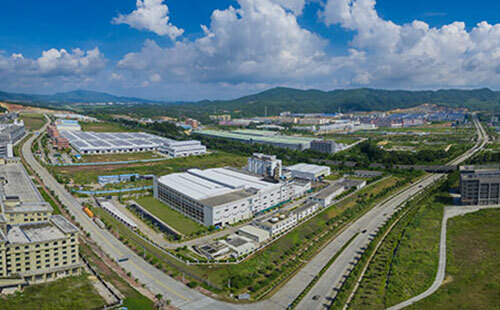 Following the integration into Indorama Ventures (IVL) a year ago, Performance Fibers today announced that it has received the approval of IVL’s board to construct a fully integrated dipping unit to expand further its tire cord fabric production capacity adjacent to the current production facility in Kaiping, Guangdong, China. The expansion is the first major strategic move by Indorama Ventures to support the organic growth of Performance Fibers which is amongst the top premium suppliers of Polyester tire cord fabrics to the tire industry. “The expansion represents an increase in our tire cord fabric production capacity by over 40% and our commitment to support our customers’ growth plan,” said Derek Chan, President of Performance Fibers. The new facility will be timely for Performance Fibers to support the expected demand growth of new products developed from various technology platforms. It is expected that the new unit will commence production in 2018. “Indorama Ventures views the Automotive market as a strategic focus of future expansion and we view Performance Fibers to be the growth engine of our Automotive business segment. Capacity expansion at the current site in Kaiping is a critical first move in our strategic plan while we are investigating how to invest further to increase our global manufacture footprint,” remarked Uday Gill, President of Fibers, Indorama Ventures. Topic Presented : Extra-High Tenacity and High-Denier Reinforcement on Carcass Weight Reduction.